Anyone who competes in the NPC Bikini Division knows that the bikinis aren’t cheap. They may be expensive, but they are beautiful, sparkly, and blinged out! When I decided to compete, I spent about $350 on 2 bikinis. At my last show, I noticed another athlete wearing my exact bikini. UGH. It is probably not that uncommon for this to happen because there really aren’t a lot of places to buy them. Well, it didn’t take long for the sparks to fly in my head (I sew, I am creative, I am an artist), why can’t I make my own? So that is what I decided to do. 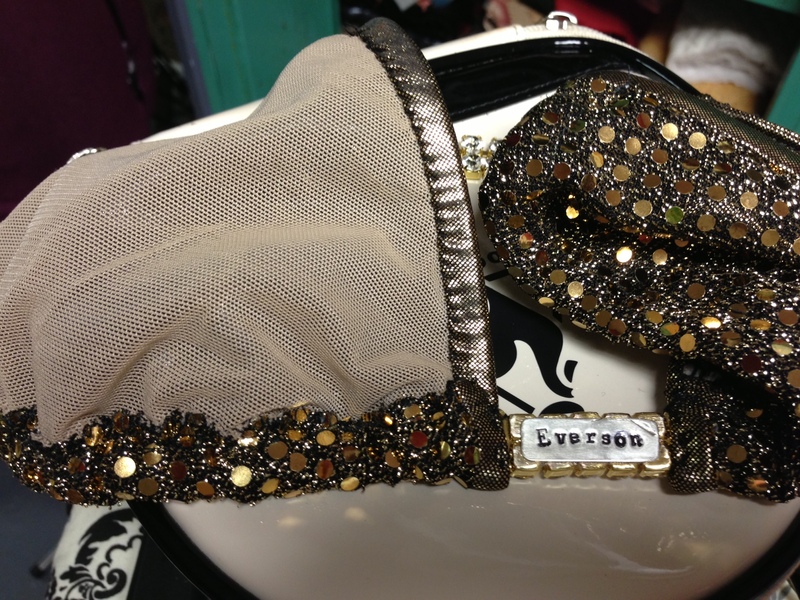 For my 3rd show next month, I will be sporting an Everson original! When I decided I was going to make my own, I did what most would do when setting out to do something they have never done before…search the internet. Although I did find some useful information. I did not find anything specific or any kind of helpful hints. So I decided to give a little bit of information to hopefully help someone else out there. First let me say, you NEED to know how to sew…both by hand and with a machine. You also need to be patient, this task takes time. And you have to be creative, you are doing this so that your bikini separates you from the rest. Everyone on stage has a fabulous body, let your bikini make YOU stand out! fabric (needs to be stretch), bathing suit lining, elastic, thread, needle, pins, bling connectors, pattern paper, wax paper and anti-chafe. HELPFUL HINT: make sure you buy a stretch fabric needle for your sewing machine. You need to make a pattern. I used one of my purchased bikinis to make my patterns (don’t forget to add 1/2″ for seam allowance). 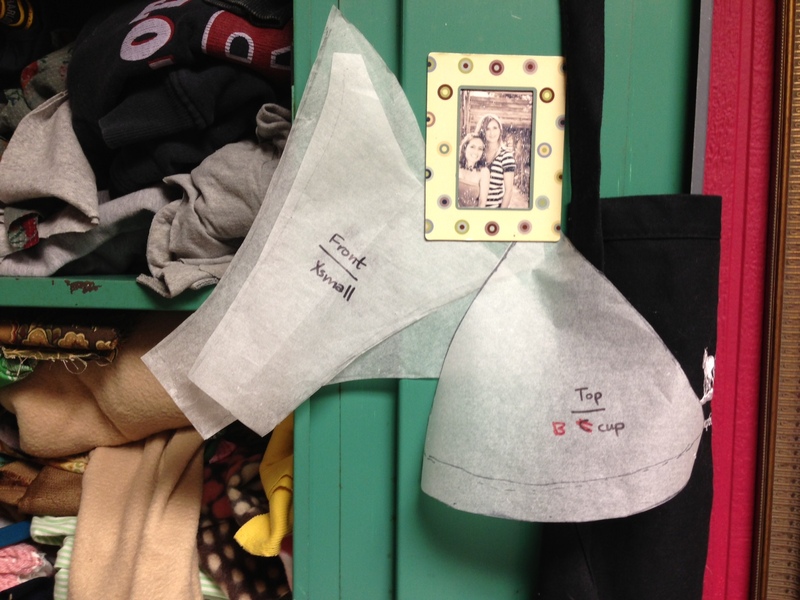 Once you have cut out your patterns, use them to cut your fabric and lining. Sew them together. 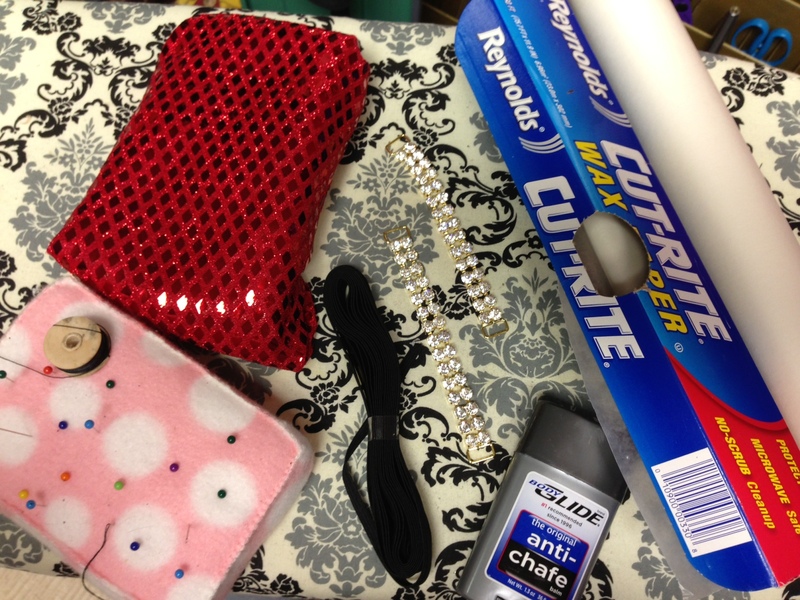 HELPFUL HINT: When sewing sequin or any fabric that has any type of glue put wax paper on both sides before sewing, and rub anti chafe on the needle. This will prevent the glue residue from building up on your needle and will aid in the fabric flowing smoothly through your machine. 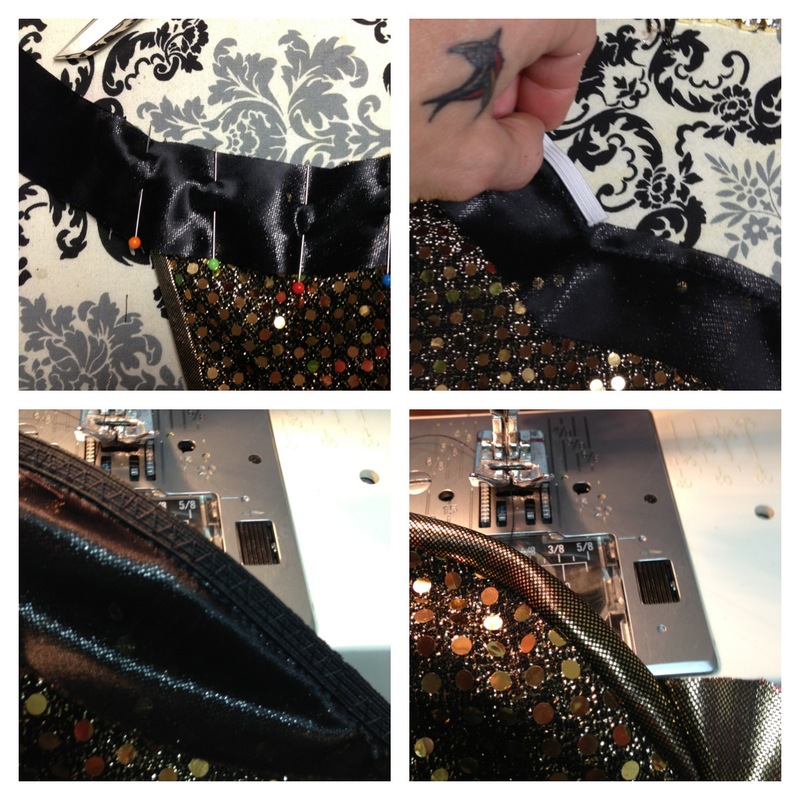 Sewing your trim. I decided to do this by hand. Looks way better to me not to see the stitches. Make it your own! I added a sterling silver plate with my name on it. It may not be seen, but I’ll know it’s there. This entry was posted in Posts and tagged competition bikini, do it yourself bikini, handmade, NPC, NPC Bikini, Sewing, sewing a bikini on September 22, 2013 by JCEverson. Is there any way I can buy your bikini pattern?? Where did you buy your connectors. I’m also trying to make my own and I’m only finding the side connectors for bottoms, but I can’t find any for the top. The connectors for the top and bottom that I used were the same. Where did you get all your material? At Hancock Fabric and JoAnns. HI, I’m interested on how you got the pattern for the bottoms from ones you had previously made for you. Did you have to unpick the scrunch bum bit and lay it out flat? I just pulled it flat and marked on pattern paper. its kind of a trail and error process. Your tutorial is extremely helpful! I just purchased my first sewing machine to make my own figure suit (my 4th competition and tired of paying ridiculous prices!) and was advised to use elastic thread – did you incorporate that too in constructing your suit?? Thank you!! no. I just use regular thread. Make sure you play around with the tension settings on your machine to get it just right. It is a lot of trial and error. When you are adding the elastic, don’t pull it to much, or it will bunch up and although it will fit, it will be difficult to put your stones on. And when you add your stones, don’t stretch the fabric to much or when you take it off your mold, the crystals will all bunch up. Good Luck!